Following the new-ish tradition of a designated opposition respondent to the SOTU, Democratic sore loser Stacy Abrams (Georgia Governor’s race, 2018), will virtue-signal her party’s dedication to identity politics, concealing its dark connection to the Wall Street / K Street grift machine, and to the Neocon war hawks so eager to manufacture failed states in parts of the world that are too bothersome to try to get along with. I suppose she will try to revive the Russian collusion angle, too, with a spin on how the Georgia election of 2018 was rigged by malign forces to prevent her victory. 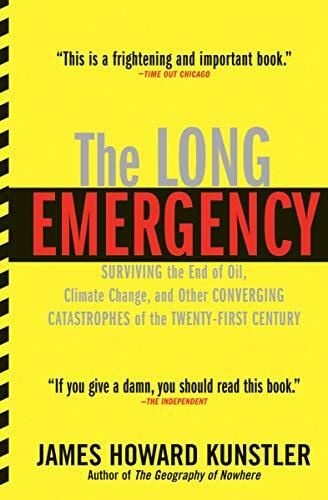 The Long Emergency: Su... James Howard Kunstler Check Amazon for Pricing. Mostly though, Ms. Abrams will extol the wonders and marvels of free health care and free college for all under the coming 2020 Democratic Party landslide, a comfy-cozy future of women-led caring-and-sharing, plus the promise of punishing taxes-to-come on super-rich toffs like Mr. Trump. The media will eat it up. Ms. Abrams will then be promoted as the next vice-president. The party’s strategy is to get every female voter in America on-board along with its supplemental People-of-Color-and-LBGTQ army for a surefire electoral victory. I can see that possibly working, but is it a good fate for the country to be literally divvied up between a women’s party and a men’s party? 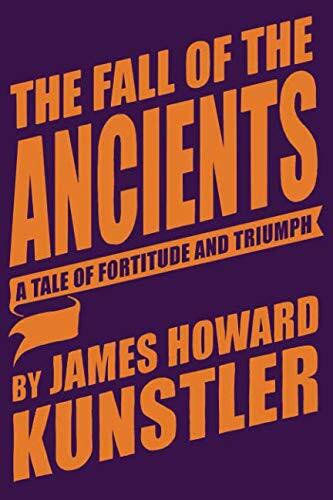 It sounds like a recipe for Greek tragedy to me. Anyway, both sides are marinated in delusion these days. Whatever Mr. Trump trumpets about the economy on Tuesday night will unwind stupendously in the months ahead. In private, he probably knows this, and I’m sure that he’s preparing to preside over some form of a national bankruptcy work-out. But even that won’t stop the roaring choo-choo train of the “democratic socialist” nirvana to come. The new religion of Modern Monetary Theory (MMT) they subscribe to says that the government can spend as much money as it feels like spending because, one way or another, they create the money. Of course, this is Karl Marx with all the humor removed. And when it comes rolling down the tracks, it won’t be much of a joke.